The goal of oneIDentity+ is the provision of a neutral service platform across sectors for the standardized identification and traceability of parts, components and products of any kind. It serves as the basis for efficiently realising the potential benefits, for example in the areas of protection against counterfeiting, mobile service support, marketing or spare parts management, in a platform-independent manner and across corporate boundaries. The technological basis of oneIDentity+ is Honeywell’s powerful Movilizer high-performance cloud. There are several possibilities of labelling products with the unique MAPP code by oneIDentity+ in order to achieve a protection against counterfeiting. With labels the user has the choice to use specially prefabricated stickers or to print the code directly onto the own product label. Alternatively, the MAPP code, which consists of the GTIN and serial number, can be directly engraved into the product. For an effective counterfeit protection, Bosch is marking the packages of their ignition plugs with prefabricated MAPP code labels. The ZF brand TRW is printing the MAPP code directly onto their product labels to protect their brake discs against counterfeits. 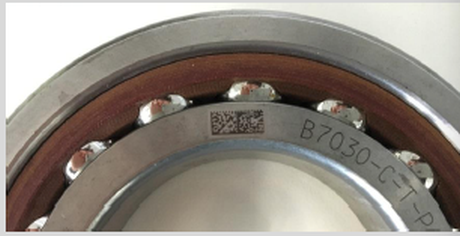 Schaeffler relies on direct part marking of their products with the MAPP code to protect their bearings against counterfeits. 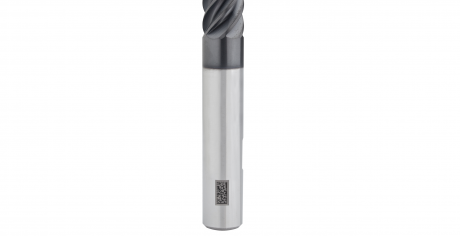 Ceratizit drill heads are directly marked with the MAPP code to ensure a protection against counterfeits and to track the number of regrinds per driller. Together with a variety of partners and associations, oneIDentity+ is working on a neutral multi-sector solution to use serialized product markings for an effective protection against counterfeiting. The embedding of value-adding services from third parties is a central component of the service platform. GS1 Germany supports companies in all sectors in using modern communication and process standards in practice. As a result the efficiency of their business processes is improved. The company GS1 is responsible for the worldwide, non-overlapping GS1 article number system in Germany – the basis of the barcode. GS1 Germany is a part of the international network of “Global Standards One” (GS1). In this network GS1 Germany supports the development and implementation of open, multi-sector and globally valid standards. As the second largest of more than 110 country-based organisations, GS1 Germany also develops process and application recommendations and supports companies with implementation. 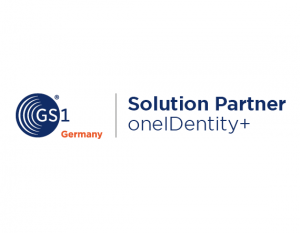 Service providers provide support for specific requirements from the GS1 Germany solution partner programme, in which oneIDentity+ is active as a solution partner. As a full subsidiary of tesa, tesa scribos GmbH is part of tesa SE, a company in the Beiersdorf Group. Since being established in 2001, the company has become synonymous with expertise in the fields of security and identification for anti-counterfeiting, document protection, anti-tampering devices, product tracking and consequently with protection against product piracy. tesa scibos® offers comprehensive consumer advice, practical safety concepts and effective protection technologies for manufacturers of original products. The company stands out due to years of experience in the conceptual design, development and implementation of customer-specific product protection measures. Customers of tesa scribos® include leading global companies such as Bosch, Castel, Continental Aftermarket, Danfoss, Mammut and Motor Service International (MSI). More information can be found at www.tesa-scribos.com. Honeywell Movilizer is the Cloud for Field Operations. It drives enterprise profitability at large manufacturing and services companies, by empowering the companies to deploy nimble and dynamic strategies in the field. Unlike other competitors, who are providing silo solutions, the Movilizer Cloud connects and orchestrates field operations actors with each other even across company boundaries. TecAlliance is a leading global industry solution provider for the automotive aftermarket. It operates one of Europe’s leading information and communication platforms in the automotive sector and delivers data & solutions to ease the daily work in the international automotive aftermarket. The TecAlliance GmbH is combining the competencies of TecDoc, TecCom, TecRMI and Headline. TecAlliance is continuously developing and defining the industry standard and thus making collaboration within the industry more efficient, effective and transparent. It is the same story with oneIDentity+, a 100% subsidiary of TecAlliance. CLEPA (European Association of Automotive Suppliers) represents more than 3,000 companies and covers all products and services in the value chain of the automotive sector. As co-initiator of the MAPP initiative and a long-standing supporter of oneIDentity+ CLEPA has always supported the fight against product piracy to protect against counterfeits. “Manufacturers against Product Piracy” (MAPP) is the industry initiative against product piracy and for the exchange of knowledge about product and brand proction. It was founded by members of the European Association of Automotive Suppliers (CLEPA), the European governing body of automotive suppliers. Manufacturers of original parts can find important information about the topic and how genuine parts can be clearly identified at www.mapp-code.com. oneIDentity+ offers the indetification and tracing of products and thus forms the MAPP initiative’s primary tool against product piracy. The Verband Deutscher Maschinen- und Anlagenbau e.V. (VDMA) is Europe’s largest industrial association with around 3200 members, and represents the interests of the capital goods industry, predominantly comprised of medium-sized companies. In Germany, the machine and plant construction sector employs over one million people – making it the largest industrial employer with a turnover of around 218 billion euros. Every two years, the VDMA runs a study on the subject of product and brand piracy among its member companies. The total damage estimated by the German machine and plant construction companies is in the billions each year. oneIDentity+ is a member of the professional software association of the VDMA and works on solutions to reduce product piracy. Hologram Company RAKO GmbH has been one of the leading manufacturers in the field of product and brand protection since 1994. The development of tailored safety concepts and their implementation in production constitutes one of Hologram Company RAKO GmbH’s core competences. Working alongside oneIDentity+, users can take added advantage of the physical product assurance in a useful manner. Schreiner ProTech, a business unit of Schreiner Group GmbH & Co. KG based in Oberschleissheim near Munich, Blauvelt (USA) and Shanghai (China), develops industrial marking solutions and innovative film-based functional components. From thermal-transfer printing and laser marking through to pressure compensation seals: the certified development partner and systems supplier offers solutions which help optimize processes and reduce costs. All of Schreiner ProTech’s solutions for the automotive, electronics and solar industries as well as for mechanical engineering are specifically tailored to meet customers’ needs.